The Last of Her Kind NPR coverage of The Last of Her Kind by Sigrid Nunez. News, author interviews, critics' picks and more. Chronicles the lives of two women who meet as freshmen in 1968 at Columbia University—Georgette George and her idealistic, radical roommate Ann Drayton—from their first encounter, through the fight that ends their friendship, to Ann's arrest for murderin 1976 and Georgette's search for answers to the riddle of Ann's life. 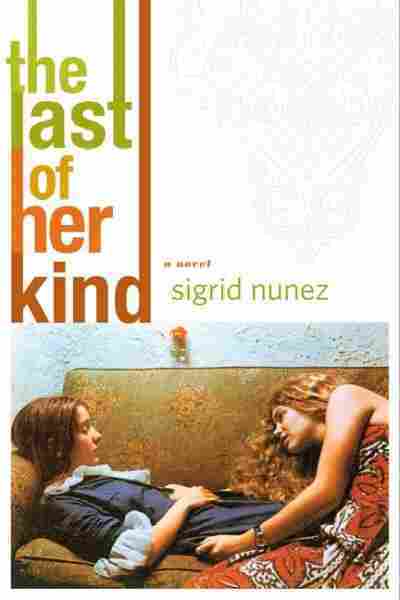 January 12, 2006  The latest novel from Sigrid Nunez, The Last of Her Kind, tracks a woman's life from her college days in the late 1960s to the present. As she describes her own life, the narrator, Georgette, also details the legacy of fierce idealism — and violence. Excerpted from The Last of Her Kind by Sigrid Nunez. Copyright © 2006 by Sigrid Nunez. Published January 2006 by Farrar, Straus and Giroux, LLC. All rights reserved. We had been living together for about a week when my roommate told me she had asked specifically to be paired with a girl from a world as different as possible from her own. She did not want a roommate from the same privileged world in which she had been raised, she said. She did not want a roommate who had been raised, as she had been (but this was my thought, not hers), to believe you could make this kind of special request and expect it would be granted. I, for example, would never have believed that I could have had any say in my choice of roommates. I did remember receiving some forms from the college housing office that summer, and answering such questions as “Do you mind rooming with a smoker?” But that I could have filled the blank half page under Comments with something like “I want a roommate from this or that background” would never have occurred to me. No, I wrote. I did not mind rooming with a smoker, even though I was not a smoker myself. I had no preferences of any kind. I was completely flexible. Though I had done well in high school, I had never taken it for granted that I would go to college: no one in my family had done so before me. That I had managed to get into not just any college but a good one remained a little overwhelming. I left the space under Comments blank. I had no comment to write unless it was to say thank you, thank you for accepting me, and when my roommate told me what she had done, it brought me up sharp. How exactly had she phrased it? What words had she used to describe me? Her father was the head of a firm that produced surgical instruments and equipment, a business that had been in Drayton hands for some generations (before that they were barbers, Ann told me, and this was true and not the joke I at first took it to be), and the family owned several valuable patents. Her mother did not work, she had never worked, though she’d had a good education. She, too, was from a prominent family, older and more distinguished if less prosperous than the Draytons, and she was an alumna of our school. I did not know any woman like that.